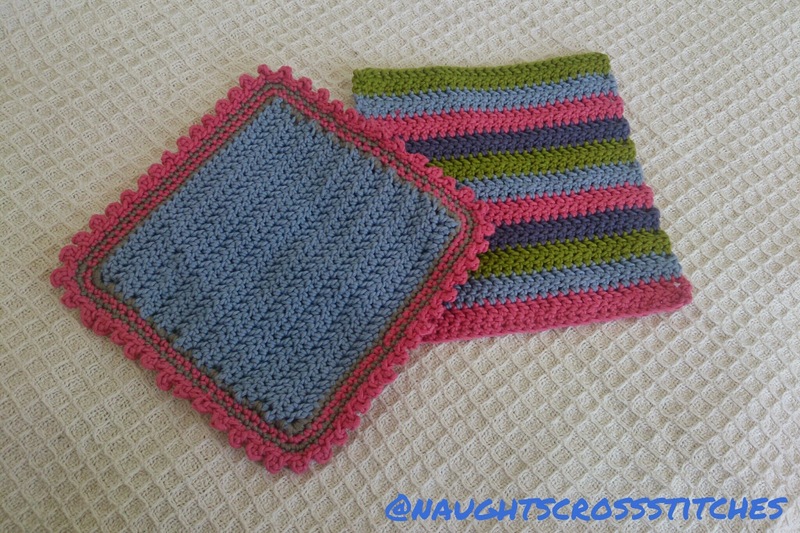 I finished two new dishcloths. These two are crocheted and they have a very different feel to the knitted one. They are still soft but a bit scratchier. I think they'd work better as dish cloths/wipes rather than for your face. I just made the pattern up for both of these. 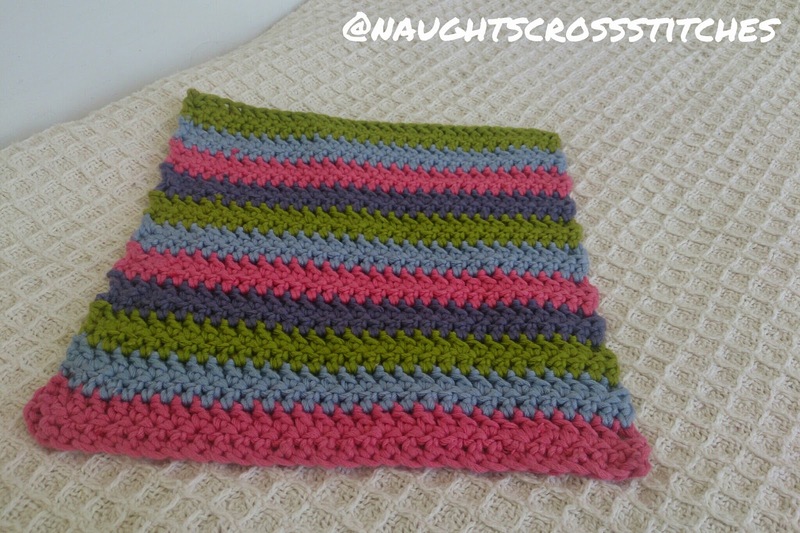 The rainbow one is two rows of each colour following a pattern until I felt that it was large enough. I like the fact there is a bit of arrowing happening. 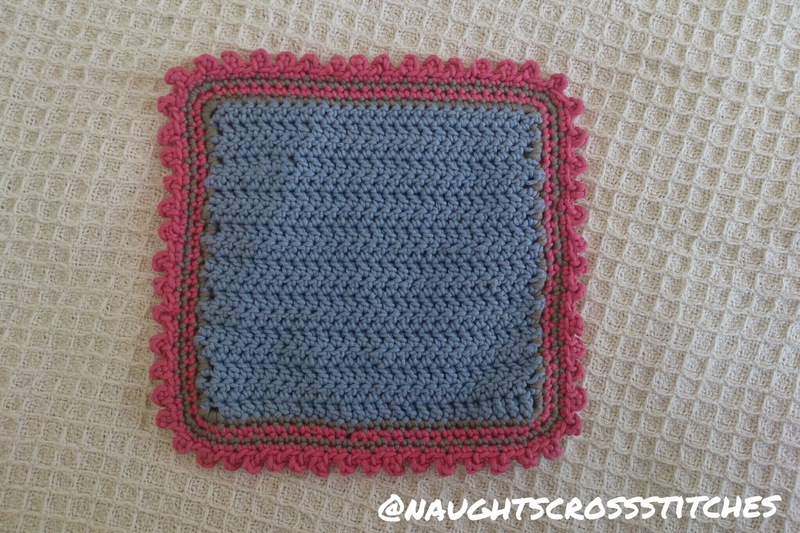 The blue one is just treble crochet repeated then I added a border. 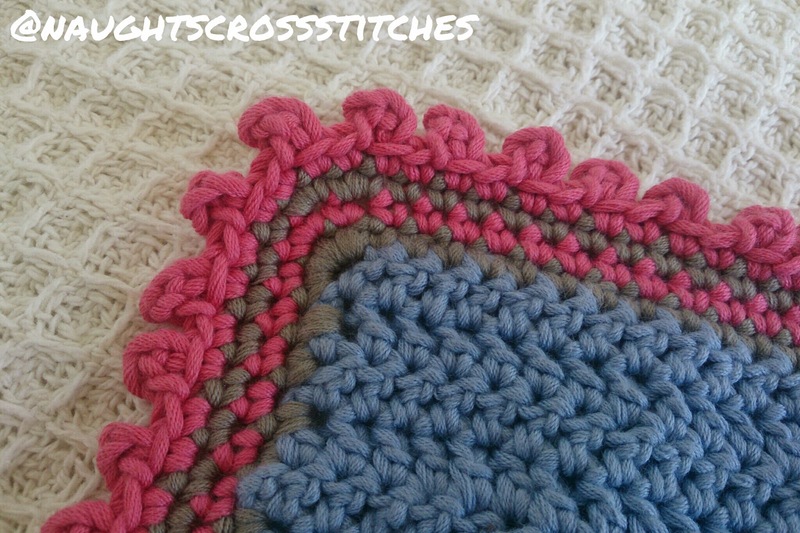 The border is single crochet rows finishing in one row with a picot edge. 2SC then 3 chain repeated around the border. I love the colour effect as they both lay here all ready to be used for something. It is so exciting to do these simple projects because they are such a quick finish. But that isn't the only great thing that I want to post about today. I got a little stitchy mail this morning. 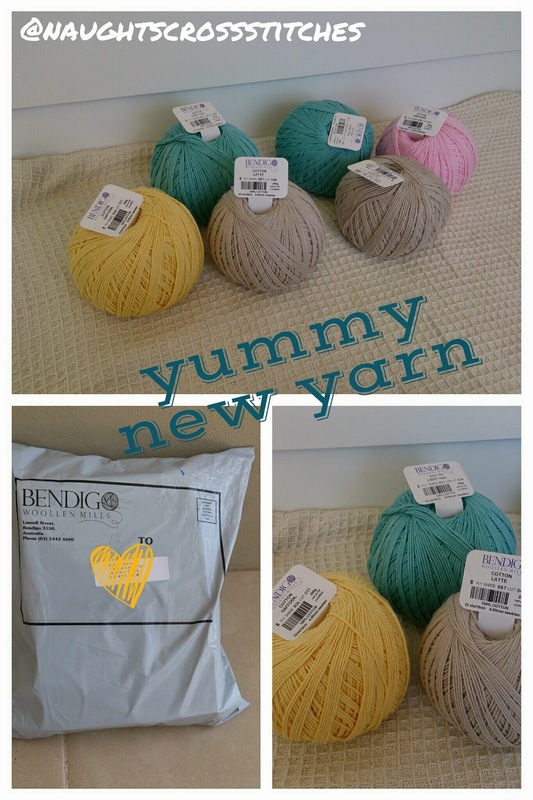 I ordered 3 balls of cotton yarn for myself from Bendigo Woollen Mills, though I did get 6 in the mail because my friend also ordered three. 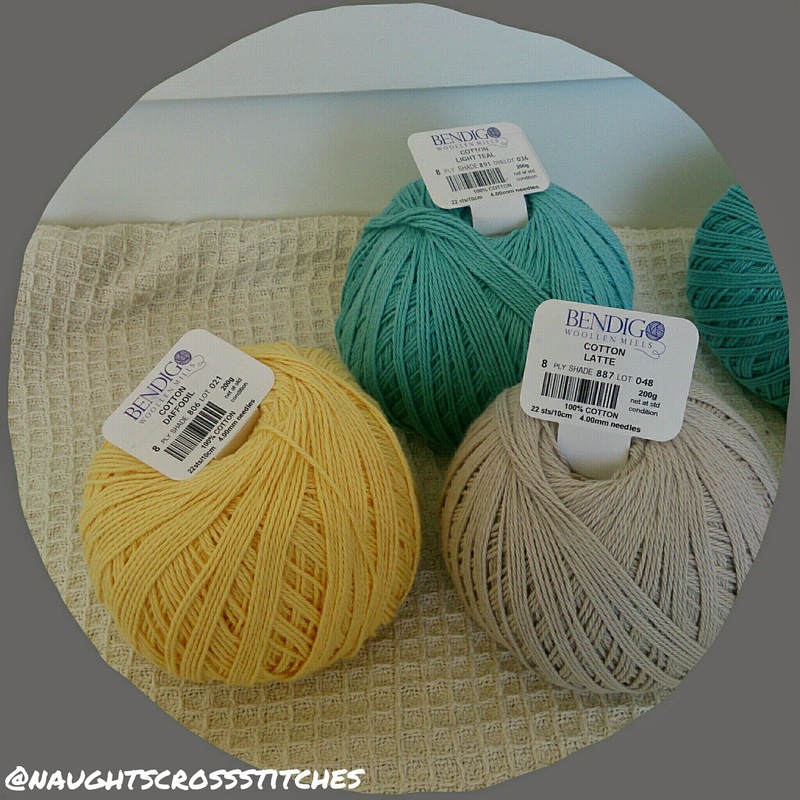 I am going to have so much fun with the gorgeous yarn making a tonne of face cloths. 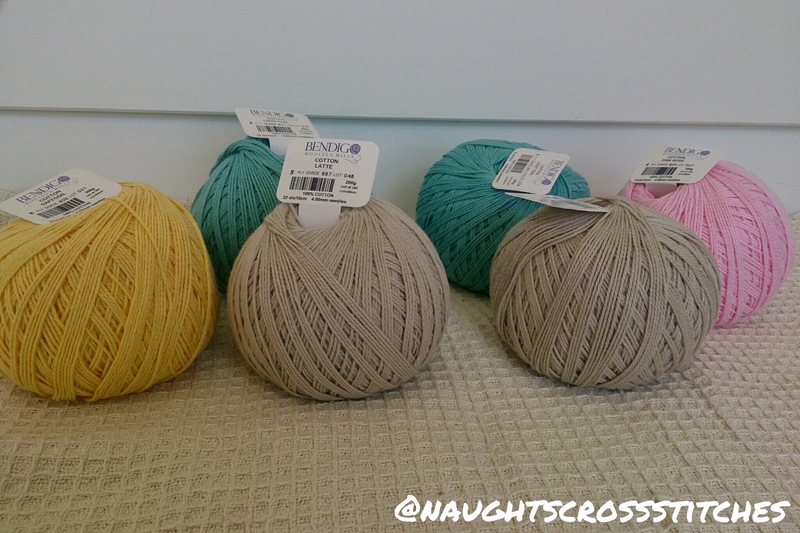 It's a much softer yarn so I think it will suit face cloths better and it's only $10.50 a 200g ball. I also surprised myself and DIDN'T order purple! I ordered the Latte, Light Teal and Daffodil, while my friend ordered the Latte, Light Teal and Pink Blush. Aren't they so scrumptious! The ball sizes are so big too! I'm going to have a lot of fun with it. I was very impressed by the service I got. I ordered it last Friday, they posted it Monday and it arrived today. Less than a week to get here from Victoria! So excited by all the cloth ideas running around in my head right now. It is going to be so much fun! Great crocheting! Have fun with that yummy new yarn. 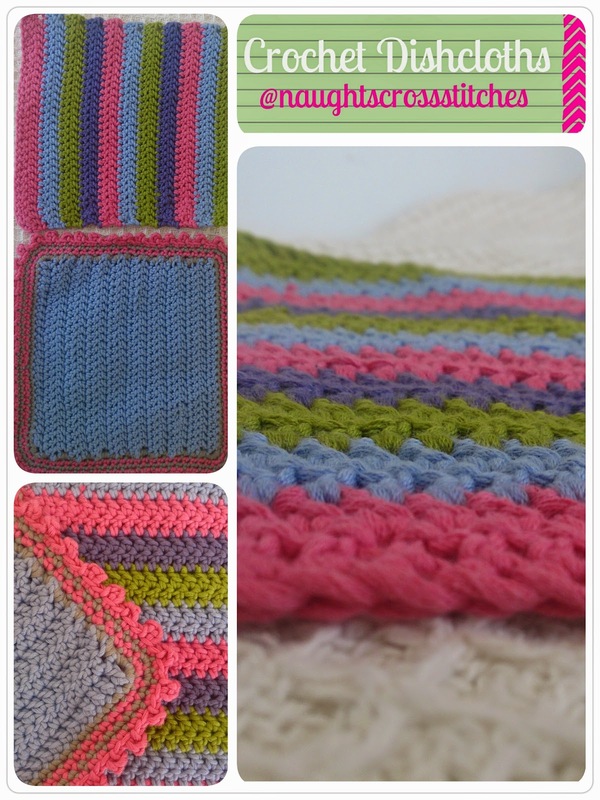 Wow - your crocheting is wonderful! I like to knit, but never could get the knack for crocheting. Really pretty Dishclothes Caitlin. I love your new yarn.